Is the personal hygiene category on a trajectory similar to that of organic food and beverage? Industry pros believe it’s on the same high-growth path. Jaime Schmidt, co-founder and chief product officer for Schmidt’s Naturals, agrees. The Portland, Ore.-based brand offers natural, chemical-free deodorants and soaps with scents derived from plants and minerals. “Now, natural and better-for-you ingredients are expected from personal care brands—it’s the new industry standard,” says Schmidt. Statistics from Nielsen’s The Future of Beauty report underscore the important role purely natural ingredients are playing in category growth. “In 2017, products featuring natural claims represented 3.1% of the U.S. personal care market, generating $1.3 billion in annual sales last year. That’s up from 2.1% of the market in 2013 (representing sales of $230 million),” Nielsen reports. In addition, a recent Harris Poll found that 73% of millennial women seek cleaner, all-natural products, while 59% of women over age 35 say buying clean beauty products is important to them, says Nova Covington, founder and CEO of Goddess Garden Organics, a Boulder, Colorado-based manufacturer of sunscreens, sun repair facial care products and essential oils made with organic, plant-based ingredients. “We are also seeing this growing trend,” says Covington, who says her daughter’s allergies inspired her to start her company. How important is labeling in consumers’ overall perception of a personal hygiene product? Very, according to the Label Insight Ingredient Confusion Study released in June 2017, which revealed that 94% of surveyed Americans who buy personal care products believe it is at least somewhat important to consider the ingredients when deciding which products to buy. Perhaps more important for manufacturers, as well as retailers who stock these products: Consumers are hesitant to purchase personal care items when they’re confused about the ingredients. According to the study, 31% do not buy a personal care product when they find ingredients on the label that are confusing; 51% would be willing to switch to another personal care product if they better understood the ingredients in that product; and 48% are willing to pay more for a personal care product that contains ingredients they understand or recognize. Like Schmidt’s, many personal care product companies are answering consumers’ call for transparency. 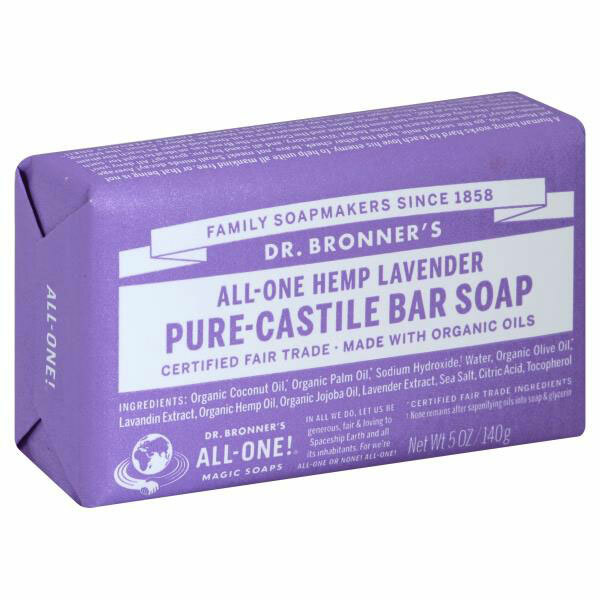 In addition, all certification logos that Dr. Bronner’s products carry appear on the back of each package, and the USDA logo is on the front when it applies, Volgyesi says. While grocery stores historically have not been destination stops for shoppers seeking face and body soaps, toothpaste, sunscreen and other personal care products, the category offers potential for grocery retailers willing to commit to the space, according to industry pros. Convinced that upping your inventory of personal care products is the right step to take? If so, making sure shoppers know you’re committed to the category is key to success. Demonstrations, in-store signage and cross-merchandising displays are just a few of the approaches industry experts recommend. Not only does consumers’ embrace of natural and organic personal care products present what Label Insight calls “an opportunity for brands to be more proactive with their transparency efforts,” but it also offers retailers a chance to capture market share in an important category. The Regenerative Organic Alliance, a coalition of organizations and businesses led by Rodale Institute and spearheaded by Dr. Bronner's and Patagonia, recently announced the unveiling of the Regenerative Organic Certification (ROC). “Within the next three years or so and beyond, consumers will start seeing this new seal appearing alongside USDA labeling that ensures a commitment to an ecological and ethical system for agricultural production that addresses the problems of factory farming, climate change and economic injustice, locally and globally,” says Christina Volgyesi, Dr. Bronner’s director of marketing.